All our cabins have an outdoor hot-tub, gas log fireplace, flat screen HD TVs, Blue-Ray/DVD Player and outdoor fire pit with fire wood. Towels & Linens and hair dryers are also provided. The cabins include full kitchens with all the appliances, utensils and pots & pans you need to make your stay a home away from home, as well as a gas barbeque grill. Complimentary coffee, creamer & sugar, salt & pepper and paper towels & toilet paper are also provided. Nestled deep in the woods, with expansive multi-level exterior decks and a unique hot tub and fire-pit area and a front porch swing, Fern Glen is our most rustic and secluded cabin. 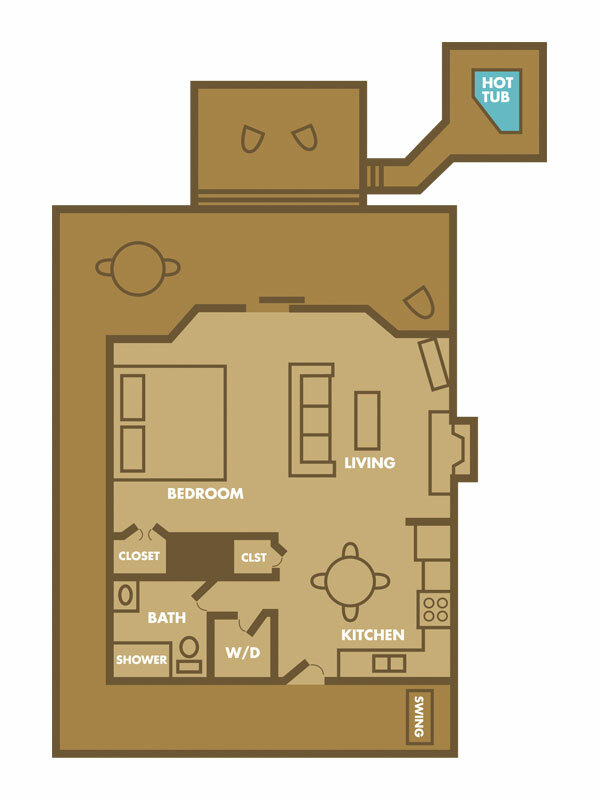 Fern Glen has a studio-layout with a king-size bed. Located on the pond, Southern Comfort has direct access to our hidden open field to the west. A separate and unique wood deck and fire pit, located right on the water, is perfect for feeding the turtles. 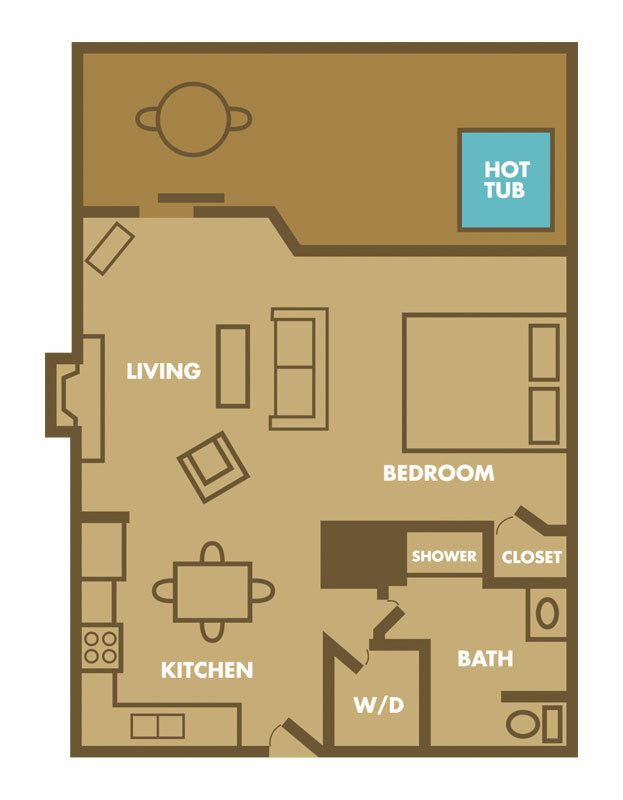 Southern Comfort has a studio-layout and king-size bed. 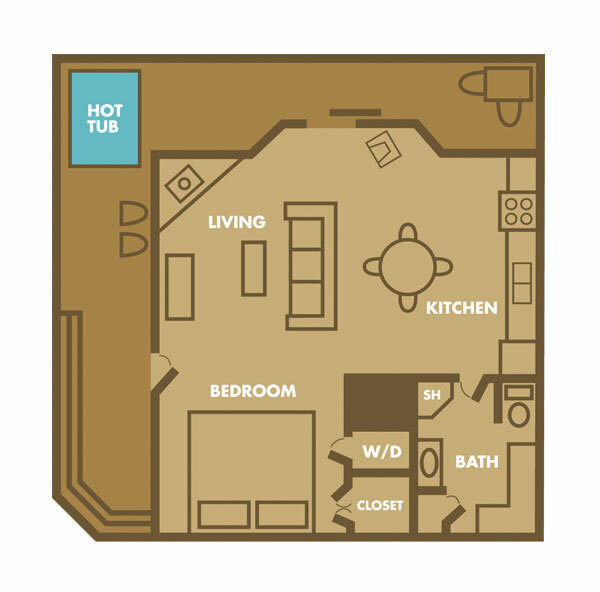 Located on the pond with spacious exterior decks and a large shaded yard area, Woodsong is our only one-bedroom layout offering privacy between the sleeping area and the living/kitchen area. Woodsong has a king size bed. White Tail is located on the pond with the best view of the sunset. A beautiful stone step walkway leads guests from their hot-tub patio to a unique wood deck right on the water. 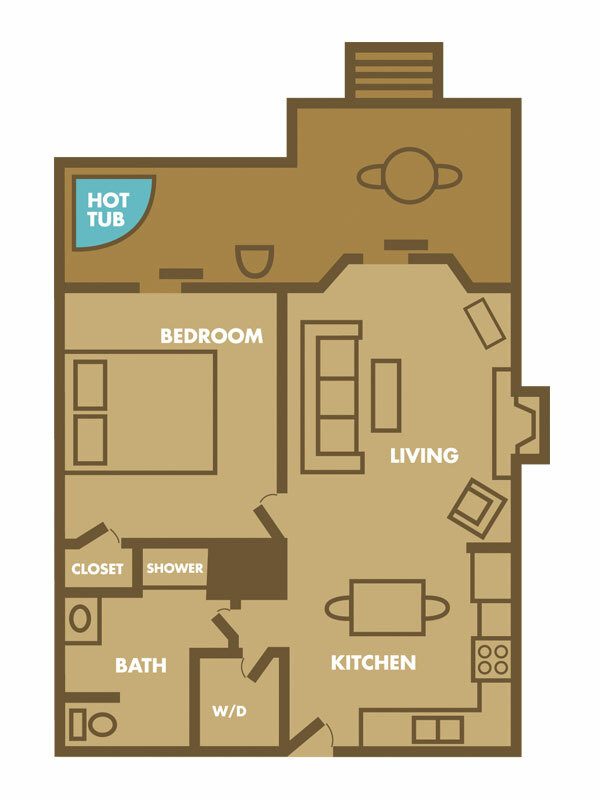 White Tail has a studio-layout with a king-size bed.